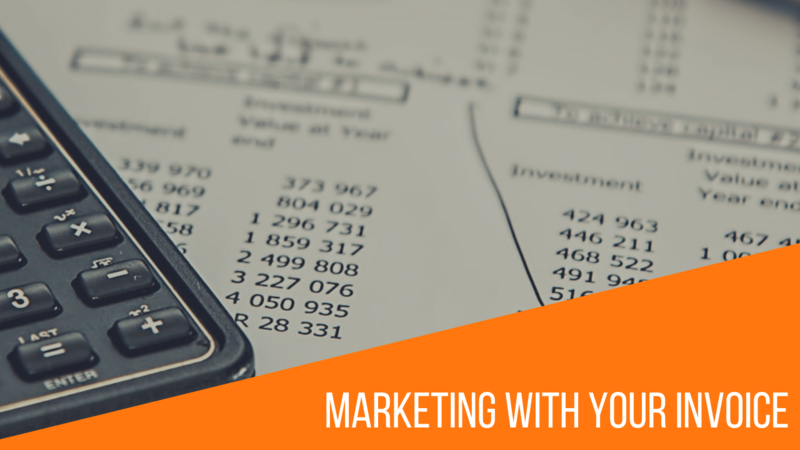 Invoices are often overlooked when delivering integrated marketing campaigns. Compared to other ways of promoting your business, creating a unique, customized invoice is by far the least expensive place for communicating with your customers. 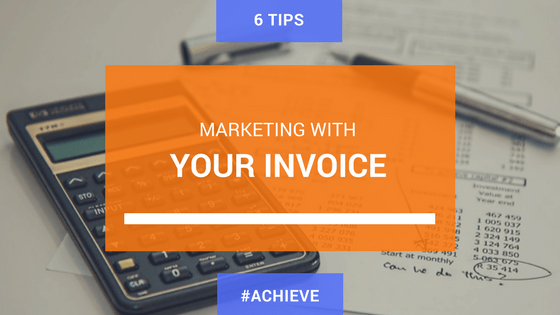 Invoices are typically promptly opened and reviewed– which gives you the immediate attention of your target audience and an advertising opportunity not to be missed. This form of advertising is not overly invasive and allows you to piggy-back an existing communication, avoiding additional marketing costs. If you already send invoices electronically you should update your template to include links to a few of your Social Media Profiles and encourage customers to follow and or like you online. By making it easy for customers to connect with you, you will be raising awareness of your company and can get your customers to help marketing your business online. If you do not send invoices electronically, save a tree, a few cents on paper and consider making a shift from paper invoicing. Since an electronic invoice can be edited over and over again and new information can be included without any cost implications like reprinting. Reviews are crucial for marketing. Right when a customer has made a purchase, when the connection is fresh, ask for a review. Include a link to your Google+ profile and make the review process as easy as possible. The easier the process, the higher the possibility of getting reviews from your customers. Do you have a new product or service that you are ready to launch? Why not inform your current customers and give them first dibs or a sneak peek by including a link to it on your invoice? It’s the quickest most efficient way of reaching out to your existing customers while also billing them. Inform clients of your referral program on your invoice. Offer an incentive or discount if they refer your products and/or services to people in their social circle. Offer your clients exclusive deals and or discounts codes on your invoice and keep them coming back for more. You could also add a link for them to share the deal or discount with their social circle. We all know how important it is to build solid relationships with customers and to nurture those relationships into more loyal clients. A simple message on their invoice will jump out and show them that you acknowledge and recognize them because of their repeat business. Your invoice message/s should be short, direct and few in number – just one is ideal and variety is key. If the message changes all the time, once your customer sees you are using that space for marketing, they are more likely to look at it. The message works best when featured upfront on the invoice, so the reader sees it right away before they get involved in the financial transaction of the bill. Since the bill is primarily text, using graphics is an additional way to draw the eye. Realistically it is not what you put into the bill that is important as much as making the most of the touch point and reconnecting with your customer.